Gilien Silsby, "Renowned Legal Historian Discusses Race in America," Gould School of Law News (University of Southern California), October 29, 2015. http://gould.usc.edu/press/article.cfm?newsid=4236. San Nicolás Tolentino, Guerrero, Mexico, is a ‘mixed’ black-Indian agricultural community on the coastal belt of Mexico’s southern Pacific coast, the Costa Chica. This article examines local expressions of race in San Nicolás in relation to Mexico’s national ideology of mestizaje (race mixing), which excludes blackness but is foundational to Mexican racial identities. San Nicolás’s black-Indians are strongly nationalistic while expressing a collective or regional identity different from those of peoples they identify as Indians and as whites. Such collective expression produces an alternative model of mestizaje, here explored through local agrarian history and several village festivals. It is argued that this alternative model favors Indians and distances whites, thereby challenging dominant forms of Mexican mestizaje. Located on Mexico’s Pacific coast in a historically black part of the Costa Chica region, the town of San Nicolás has been identified as a center of Afromexican culture by Mexican cultural authorities, journalists, activists, and foreign anthropologists. The majority of the town’s residents, however, call themselves morenos (black-Indians). 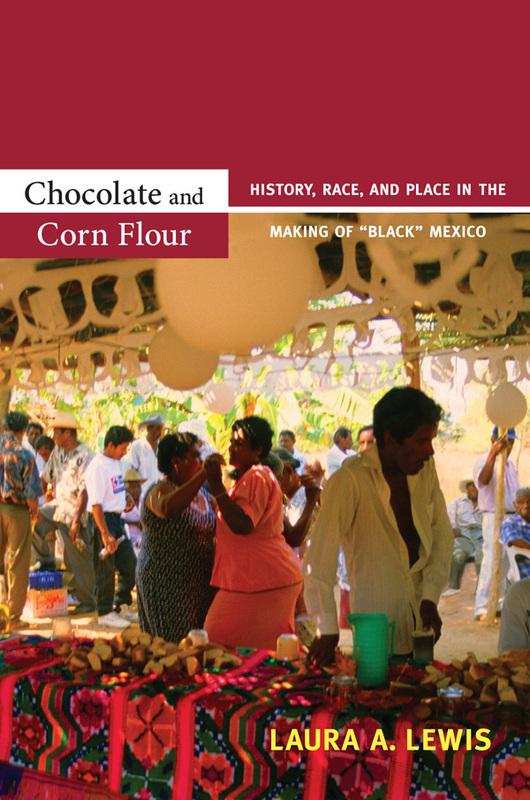 In Chocolate and Corn Flour, Laura A. Lewis explores the history and contemporary culture of San Nicolás, focusing on the ways in which local inhabitants experience and understand race, blackness, and indigeneity, as well as on the cultural values that outsiders place on the community and its residents. Drawing on more than a decade of fieldwork, Lewis offers a richly detailed and subtle ethnography of the lives and stories of the people of San Nicolás, as well as of community residents who have migrated to the United States. San Nicoladenses, she finds, have complex attitudes toward blackness—both their own and as a racial and cultural category. They neither consider themselves part of an African diaspora nor do they deny their heritage. Rather, they acknowledge their hybridity and choose to identify most deeply with their community. The Daily Tar Heel is the student newspaper at the University of North Carolina at Chapel Hill. The complicated and nuanced issue of race in Mexico is often overlooked, but The Sonja Haynes Stone Center for Black Culture and History hopes to spark an inclusive conversation. The Stone Center is presenting a conversation with Christina Sue and Laura Lewis, two scholars with extensive knowledge of the issue of race in modern-day Mexico. In addition to the talk, the Stone Center is also unveiling a new photo exhibit, “La Costa Chica,” by Wendy Phillips, a UNC alumna. “Here at the Stone Center, we have a tradition of discussing these types of issues,” said Clarissa Goodlett, the Center’s program and public communications officer. Goodlett said the Center chose to host this particular event as part of its ongoing exploration of the idea of diaspora and where people of African descent live today. Christina Sue, assistant professor at the University of Colorado at Boulder and one of the authors speaking at the event, said she is looking forward to engaging in conversation with Laura Lewis, the other author that will be present. “I hope we can both learn from each other, and I hope it will further our understanding of Mexico,” Sue said. Sue said her book, “Land of the Cosmic Race: Race Mixture, Racism, and Blackness in Mexico,” discusses the ideas or race, racism and race mixing in modern day Mexico. In this article, I explore identity formation in Mexico from the perspective of residents of San Nicolás Tolentino, a village located on the Costa Chica, a historically black region of the southern Pacific Coast of Guerrero. Outsiders characterize San Nicolás’s residents as black, but in Mexico, national ideologies, anthropologies, and histories have traditionally worked to exclude or ignore blackness. Instead, the Spanish and Indian mestizo has been constituted as the quintessential Mexican, even as the Mexican past is tied to a romanticized and ideologically powerful Indian foundation. Ethnographic evidence suggests that San Nicolás’s “black” residents in fact see themselves as morenos, a term that signifies their common descent with Indians, whom they consider to be central to Mexicanness. As morenos interweave their identities, experiences, and descent with Indians, they also anchor themselves through Indians to the nation. These identity issues are complicated by the recent introduction to the coast of Africanness in the context of new national and scholarly projects reformulating the components of a new Mexican multicultural identity. In part, local morenos see Africanness as an outside imposition that conflicts with their sense of themselves as Mexican while it reinforces their political and economic marginality.